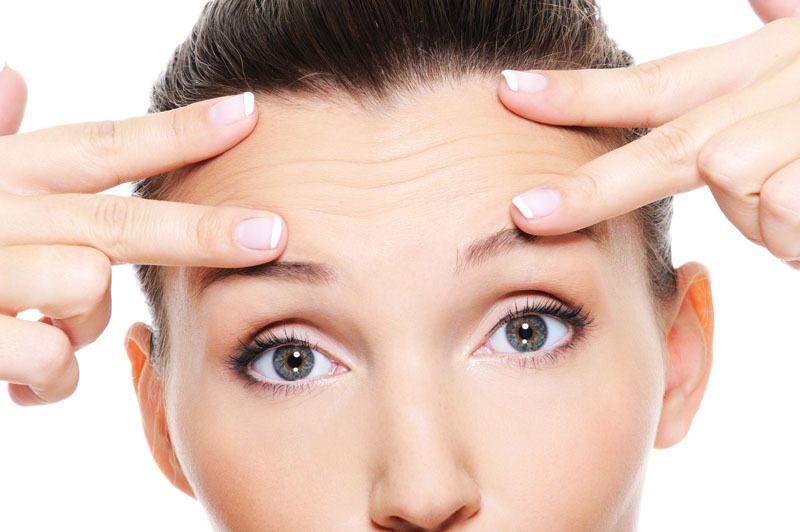 A brow lift smooths out forehead wrinkles and raises sagging eyebrow lines. The procedure is performed by making an incision in the hairline and then detaching the skin from the tissue underneath. Next, excess skin is removed and the underlying muscle is smoothed out before the skin is re-attached. A brow lift is utilized to treat wrinkles and a drooping brow, which is also known as eyebrow ptosis. A brow lift may also be used to correct birth defects or facial trauma. A non-surgical alternative to a brow lift is the use of anti-aging skin care products. Surgical alternatives, which might be attempted prior to a brow lift, include collagen replacement therapy, filler infections, microdermabrasion, laser skin resurfacing, a chemical skin peel and a thread lift. A brow lift is typically performed under general anesthesia, which means that the patient is asleep and completely unaware during the procedure. The risks of a brow lift include infection, bleeding and a negative reaction to the anesthesia that is used. Some patients might experience bruising or swelling following the procedure. The prognosis is for a positive end result following a brow lift is good, but patients should still expect to experience normal aging. The total recovery time for a brow lift is two to four weeks.